Have Nonalcoholic Fatty Liver? Probiotics Could Help. The gut and the liver may be more connected than you expect: probiotics can reduce liver enzymes from non-alcoholic fatty liver. A recent meta-analysis showed that two liver enzymes, ALT and AST, a byproduct of liver damage, were significantly reduced in test patients when taking lactobacillus-bifidobacterium blends of probiotics. Insulin resistance also improved. If you’re struggling with a liver condition, it’s important to consider the impact of your gut health. Dr. Michael Ruscio, DC: Hey everyone. This is Dr. Ruscio. I just wanted to quickly touch on the gut-liver connection. Now, if you haven’t heard of this or you’re not familiar with the anatomy, everything in your digestive tract drains to and is filtered by your liver, via what’s known as a portal vein. And this is how we can see problems with the liver ultimately caused by a problem in the gut. I’d like to share with you the results of a very exciting meta-analysis—a study that summarizes many studies—that illustrates the profundity of this connection. Four randomized trials involving 134 NAFLD/NASH patients were included. This study was entitled: Effects of Probiotics on Non-Alcoholic Fatty Liver Disease: A Meta-Analysis. Essentially they found that two of the most predominant liver enzymes which will go high when people have problems with their liver, the ALT and the AST, were shown to be significantly reduced when using probiotics. Hi everyone, let’s talk about probiotics and bone broth, both of which have helped make this podcast possible. Now you may know that Kettle & Fire is one of my favorite bone broths and this is for good reason. Now, why is bone broth good? Well, it can help to heal your gut, soothe inflammation and repair your joints, nourish your skin, hair, and nails and have this kind of anti-aging effect. This is in large part due to the nutrient profile being very nutrient dense of bone broth. Especially Kettle & Fire who are using non-GMO, organic and free-range ingredients. 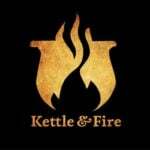 Now if you go to kettleandfire.com/drruscio, they’re going to offer our audience 15% off and free shipping on orders of six cartons or more. So definitely check them out at kettleandfire.com/drruscio. Also to Functional Medicine Formulations, which is the line of probiotics that I’ve developed. I am super excited to be able to offer you the same probiotics that I’ve been working on and developing for years and years. I use these in the clinic and they are now available to you. In this line you will find my favorite three probiotics, in each of the three probiotic categories, which work synergistically together to help fight dysbiosis like SIBO candida yeast, H. pylori, help to eradicate parasites, help to reduce leaky gut and repair the gut barrier, can improve gas, bloating, diarrhea, constipation and abdominal pain and may even improve mood, skin, sleep and thyroid function. You can learn about more about these three probiotics at drruscio.com/probiotics. Remember, this is a meta-analysis, so it summarized the results of four clinical trials, looking at 134 total patients. It’s a decent sample size looking at four different clinical trials using probiotics. The study shows a significant ability to lower ALT and AST, two of the enzymes that your doctor would order and analyze on a lab panel to assess the health of your liver. This left the researchers to conclude that probiotic therapies can reduce liver enzymes, total cholesterol, TNF-alpha, which is an inflammatory marker, and improve insulin resistance in non-alcoholic fatty liver disease patients. Modulation of the gut microbiota represents a new treatment for non-alcoholic fatty liver disease. So, great news. Regarding what type of probiotics, these were mainly lactobacillus-bifidobacterium blends, like our lacto-bifido blend probiotic that we use in my clinic and I recommend in Healthy Gut, Healthy You. And the duration of time that the probiotics were used was between two to six months. So a simple intervention of a well-formulated probiotic can have a significant impact on decreasing liver enzymes. What is likely happening there—this is my opinion—is that the probiotics are improving gut health, and as the gut gets healthier, there is less mess in the gut that needs to drain to and be cleaned up by the liver. Then the liver is less overworked and is able to heal and regenerate. Therefore, there are fewer liver enzymes. Remember, the liver enzymes are a byproduct of liver damage. These enzymes essentially spill out of the liver when the liver is overworked and damaged and can’t regenerate and repair itself. So those liver enzymes truly are an indicator of liver damage and liver inflammation. And again, the probiotics—likely by improving gut health—take a burden off the liver and therefore lower liver enzymes. So something to think about if you’re struggling with a liver condition, especially elevated liver enzymes, is a probiotic and any other therapeutic options that may improve your gut health. This is Dr. Ruscio. Hopefully, this helps you get healthy and get back to your life. Thanks. Why not soil based probiotics, I would question the quality of easily mass produced laboratory grade petri dish type stuff “…like a breeze through two open windows” ? Why no choline or methionine from eggs for fatty liver? Which of the 3 probiotics would you recommend for my 16 year old daughter fighting IBS symptoms for 8 years. We’ve tried multiple probiotics that bring her more stomach pain, so that’s the biggest concern. She sees a functional medicine practitioner, eats limited foods (intolerances), is weak, underweight, tired, and has anxiety. That would be something to work with her doctor on, since they’ll know her history and details of her condition. Unfortunately we can’t give personalized medical advice on this forum. Good luck!